Many companies have been sold on the promise of artificial intelligence. They modeled their expectations after their favourite digital-born companies. They have piled a ton of money into hiring expensive data scientists and ML engineers. They invested heavily in software and hardware. They spend considerable time ideating. Yet despite all this effort and money, many of these companies are enjoying little to no meaningful benefit. This is primarily because they have spent all these resources on too much experimentation, projects with no clear business purpose, and activity that doesn’t align with organizational priorities. To turn data science from a scam to source of value, enterprises need to consider turning their data science programs from research endeavor’s into integral parts of their business and processes. At the same time, they need to consider laying down a true information architecture foundation. 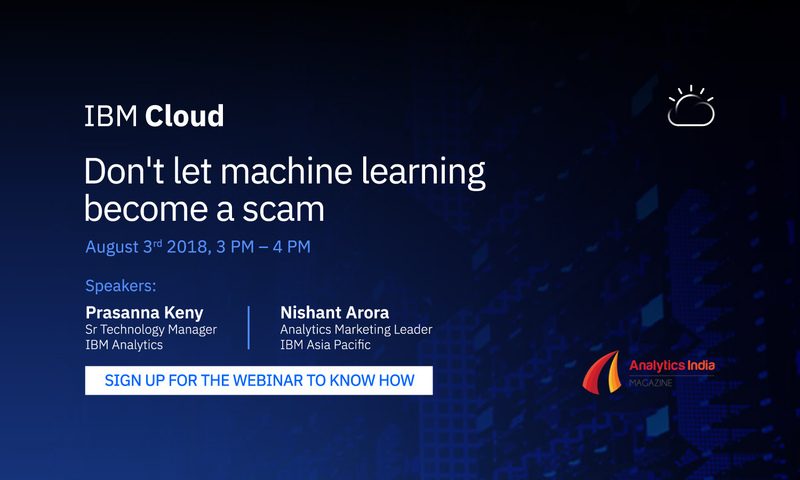 Listen to Prasanna Keny and Nishant Arora, as they share learnings & best practices from IBM’s 16000 AI engagements. Register for this webinar to understand how you can accelerate your enterprise’s machine learning adoption at scale.